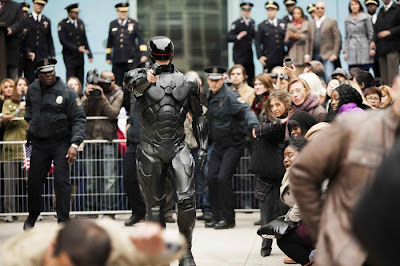 Metro-Goldwyn-Mayer Pictures and Columbia Pictures have just rolled out the teaser trailer for they're upcoming action thriller “RoboCop”. 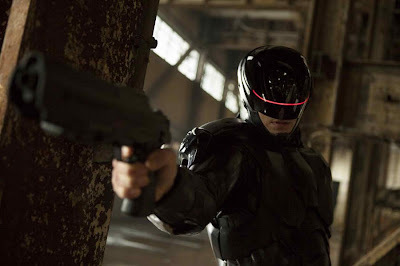 Directed by Jose Padilha, “RoboCop” stars Joel Kinnaman (TV's “Game of Thrones”), Gary Oldman, Michael Keaton, and Samuel L. Jackson, as well as Abbie Cornish, Jackie Earle Haley, Michael K. Williams, Jay Baruchel, Jennifer Ehle, and Marianne Jean-Baptiste. The screenplay is by Josh Zetumer and Nick Schenk, based on the 1987 motion picture written by Edward Neumeier & Michael Miner. In “RoboCop,” the year is 2028 and multinational conglomerate OmniCorp is at the center of robot technology. Overseas, their drones have been used by the military for years – and it’s meant billions for OmniCorp’s bottom line. Now OmniCorp wants to bring their controversial technology to the home front, and they see a golden opportunity to do it. When Alex Murphy (Joel Kinnaman) – a loving husband, father and good cop doing his best to stem the tide of crime and corruption in Detroit – is critically injured in the line of duty, OmniCorp sees their chance for a part-man, part-robot police officer. OmniCorp envisions a RoboCop in every city and even more billions for their shareholders, but they never counted on one thing: there is still a man inside the machine pursuing justice.